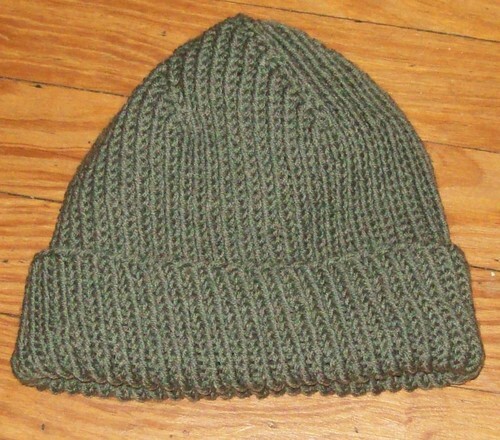 This is just an everyday, no nonsense, warm cap, but it’s made from a blend of 60% cashmere and 40% merino wool. I bought the yarn at Stitches East 3 or 4 years ago. Because of my faulty memory and/or record-keeping, I thought it was merino – if I had remembered I had cashmere, it would not have hung around unused for so long. 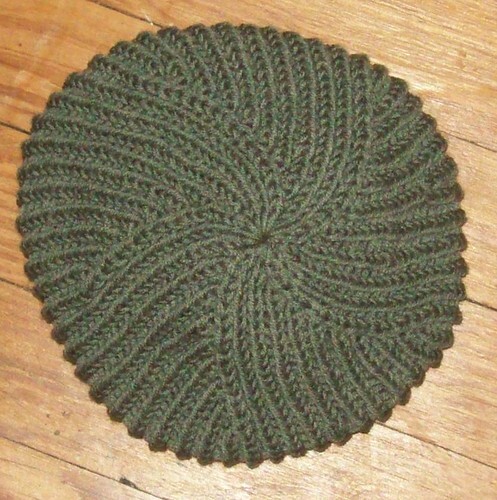 But, I’m glad it did, because I dug it out to make a cap for a friend, and it’s perfect for him (I hope he agrees!). One of the Rainey Sisters just happened to blogged about a Marsan Cap at about the same time I was mulling over what pattern to use, and thus the stars were aligned. I’m quite fond of the twisted rib (very stretchy) and the way the crown decreases spiral. This entry was posted on Friday, November 27th, 2009 at 10:58 pm and is filed under My Projects. You can follow any responses to this entry through the RSS 2.0 feed. You can leave a response, or trackback from your own site. The Finish Line logo is by the graphic and web designer Cool Beans Graphic Design. Love reading? Love knitting as well as other DIY and art projects? 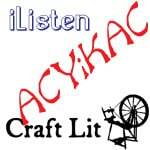 Listen to Craftlit and you will learn more than you ever imagined about some great books and short stories. The best snacks and gift baskets are from Buffalo Bill's Beef Jerky. I am a former (for 33 years) vegetarian, and I can't believe it, but I love this stuff. Low fat, high protein, and great for a hypoglycemic who needs to keep an emergency food pack in her car.